As the end of the course approaches, keeping the poultry room cool and controlling the ventilation system becomes more difficult due to the weight gain of the hen. 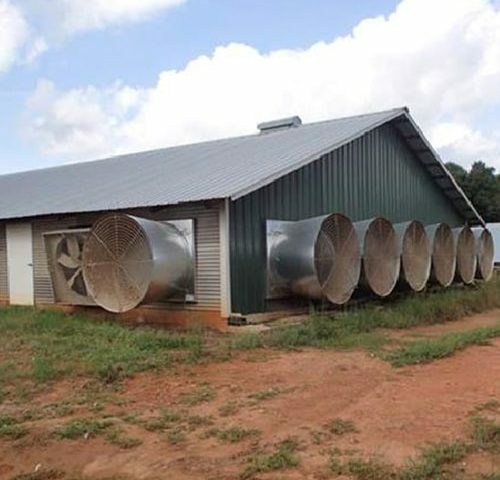 Despite the fact that for the first weeks of breeding the chicken is smaller, the air flow is 400 to 500 feet per minute, but it should naturally increase the airflow rate when approaching the loading age to cool them in hot weather conditions. . Chickens sometimes increase indoor air venting capacity by up to 50% or more, in which case the airflow rate is 600, 700 or ultimately reaches 800 ft / min. Sometimes adding a new ventilator to the salon will not only see a lot of changes in the ventilation system, but it can also replace all the old air vents. During the test, air flow in the hall has been calculated with two types of ventilators (Fig. 1). In this hall, six 45-inch fans of the 1990s (old) and seven 52-inch butterfly shafts were fitted. When only 7 "52" ventilators were illuminated in the hall, the average air speed was 550 feet per minute and the total air capacity was 700/194 cfm. When the total air capacity was divided by fan number, the average air intake capacity of each fan was 52 The 27,814 cfm centimeter was estimated, and when the 6 "45" fans were added, the average air speed increased to 105 ft / min and reached 655 ft / min. That is, the total capacity of the intake air by these vents was 37,170 cfm, and the share of each ventilator was estimated to be 48 inches 6,195 ft / min. So we came to the conclusion that instead of adding up to 6 "48" ventilators, we could add a new 52 cm fan to the ventilation system to have this air volume! In this experiment, the total energy consumption of the whole hall was also calculated. When all the fans were on, the total energy consumption of the whole hall was estimated at 19.5 kW, and when six 6-inch ventilators were turned off, this number reached 14 kW, indicating that the total energy consumption of 6 ventilators was 5.5 kW and the share of each of them 0.92 (Figure 3). In the next step, 3 fans of the 52-inch fan turned off and the hall's energy consumption reached 14.8, indicating that each fan consumes approximately 1.76 kilowatts of energy. It should be noted that although the power consumption of any 52 fan is approximately twice the energy requirement of each fan of 48 inches, the air intake by any 52 fan is estimated to be more than 4 times the air temperature by any fan of 48 centimeters. A total of six 48-inch ventilators increased the airflow rate by about 16%, but the overall energy consumption increased by 31%! By examining this farm, it's well-known that the replacement of modern and modern vending hoods with old vending machines has many advantages. Of course, it is not possible to say that old ventilators are no longer used, but we must keep in mind that the use of this kind of air vents is very effective in rooms where the air flow rate is more than 600 ft / min, and naturally, the pressure drop is too high. Will be low. Indoor air speed is related to the amount of pressure applied to the vents. 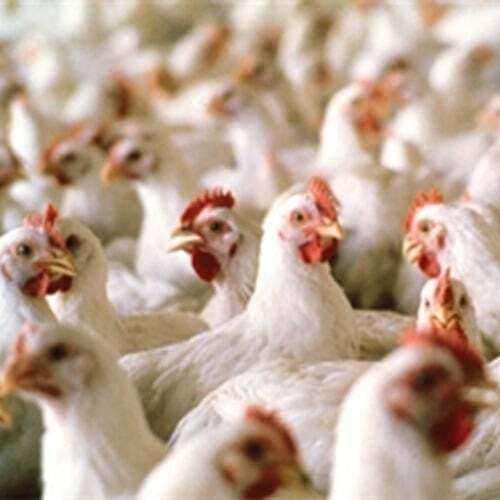 In the 1990s, the rate of flow that the poultry was considering based on the ventilation system was low (400 ft / min), and therefore the pressure applied to the vents was also low. 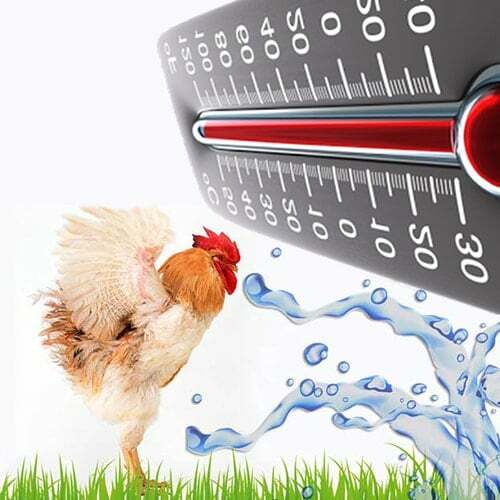 (<0.10 ") .Today, the loading weight of the chicken is considered to be about 8 pounds, so the flow rate of the chicken for the salon is more than 700 ft / min, followed by the pressure applied to the vent more than 0.15 " will be . Unlike current vents, the old vents did not have this capability. Based on studies and experiments conducted in several farms, it was concluded that the airflow capacity of air vents in the 1990s was between 10,000 and 15,000. When the system was interrupted, for example, the spool was destroyed. Or the shutter was difficult, the number could easily be below 10,000. As a result, it could be said that the amount of air capacity that several older fans could have with each other would not exceed the air capacity produced by a new 36 "fan. One of the best ways to understand if an old air vent can meet the amount of air flow that a poultryman needs to be aware of its airflow ratio. The proportion of fan airflow plus other useful and useful information can be obtained from the BESS ventilator laboratory website (www.bess.illinois.edu). Typically, the ratio of the new fan fan airflow is about 80%, which indicates that the airflow capacity of the fan decreases by 20% when the air pressure is increased from 0.05 "to 0.20". It is estimated that the ratio of the old air vents is 0.70, and when they work under high pressure, their air capacity is reduced by 30% or more, and thus does not work for modern breeding systems. A good indicator of the low-flow ratio of the old air vents is the closure of their shutters when working with new vents. According to the studies in the venues we talked about, when the 6 "48" ventilators in the hall were lit, the indoor pressure was low (<0.10 ") and the shutters of the vents were quite open. (Fig. 4). When the 7 "ventilators" turned on, indoor air pressure also increased (> 0.15 "). In this situation, the fan capacity of the 48 "fans was reduced by the shutter release half-life (Fig. 5). This does not mean that the 52" air vents that used the 48 "fans were given. The truth is : When the 52 "vents are also lit next to the 48 vents, the 48" fans can not move much of the air at high pressures. 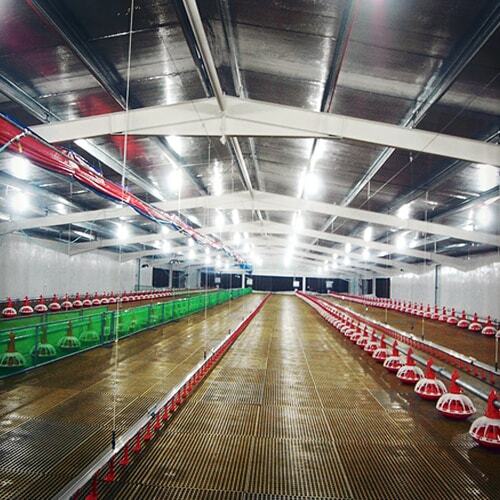 As a result, as the breeding process has changed over the past 20 years, the indoor tunnel ventilation system has also changed. 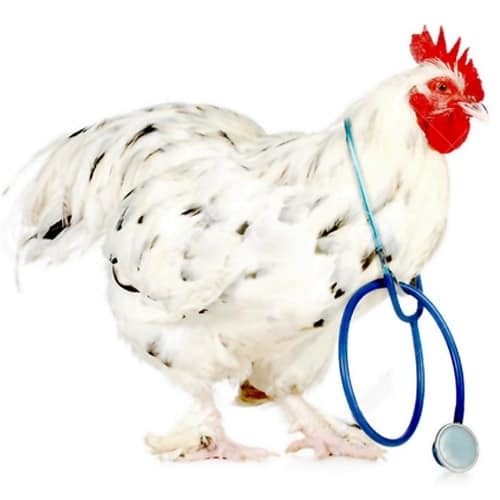 Although the replacement of a new ventilator instead of an old ventilator, and actually updating the ventilation system may cost a lot, it should be borne in mind that this method can significantly improve the performance of the chicken as well as the efficiency of the ventilation system And subsequently consumed less energy.